Here you can get the information about the best Picnic Spots or most popular tourist spots in Gajapati District of Odisha. If you want to know the List of Famous Picnic Spots in Gajapati District of Odisha then see the below tourist spot link to know about the Famous Picnic Spots in Gajapati District of Odisha and experience the Gajapati Tourism. Gandahati is more about 30 km far from Paralakhemundi and which belongs to in Gajapati district of Odisha. The place is famous for the glittering water fall, which is famous water fall in Odisha and this this enclosed by dense green forest. You will find so many wild animals like elephant and these elephants are coming from upper side of the hill to this waterfall to bath/drink water. One beauty-full hindu temple is present near to this water fall. It can be reached both by rail & road. The nearest railway station Palasa is 44 kms away from Paralakhemundi. All the trains connecting Howrah with the southern part pass through Palasa and have a halt here. JITM campus is 7 kms away from Paralakhemundi. Mahendragiri of Gajapati district is not only a religious place, also a famous tourist place in eastern Odisha. Mahendragiri is a mountain peak, which is a part of Eastern Ghats at an elevation of 1,501 meters (4,976 ft) from the sea level. Mahendragiri peak is around 56 km from the district headquarter Paralakhemundi. The nearest railway station is Palasa of Andhra Pradesh, which is only 30 km distance via Goppili Road. To know more about this place and other nearby attractions read this article completely.Mahendragiri peak of Eastern Ghats is associated with many mythological legends as per Hindu Puranas and stories. It was said since a long as once Lord Parshuram used to stay and meditate Lord Shiva for a long time on this mountain, after which he received the Parsu (double axle) from the God. In addition, during Dwapara Yug, Mother Kunti along with her five sons used to stay here for a certain time during their 12 years of Vanvas (exile), and Bhima used to worship the Lord Shiva here too. The holistic place is though famous for the temple of Lord Shiva and Parshuram. Parshuram temple is at below the mountain, near Tumba village, whereas temples of Kunti, Judhistir and Bheema are on the hilltop. It is situated at about 90 kms. from Paralakhemundi and 15 kms. from R. Udayagiri. The Tibetans settle a beautiful place surrounded by forest. Large-scale horticulture plantation like mango, orange, guava, pineapple etc. along with a Government horticulture farm as well as the cultural activities of the Tibetans makes this place more beautiful. 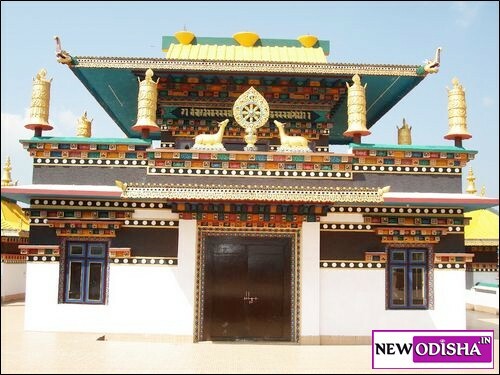 This place is famous for seasonal fruits, Tibetan woolen garments & carpet also for dogs of various breeds. It is also a health resort. 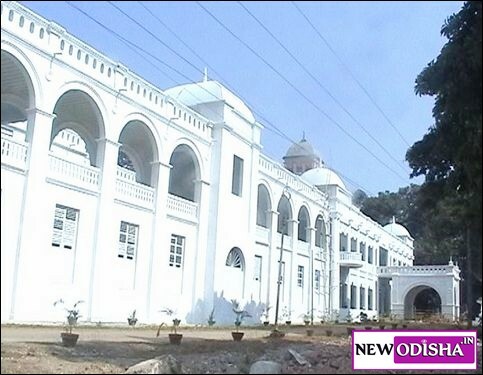 It is known as Brundaban Palace, was made by the Maharaja of Paralakhemundi for their use during summer. It is situated on the bank of river Mahendratanaya surrounded by thick teak trees. The palace is three storied including an under ground floor. There an under ground connection to it with the main palace of Maharaja. The art engraved in this palace is worth seeing. Now it is under the control of Dept. of Tourism, Govt of Odisha. There is an orchard near to the palace. People of Paralakhemundi and its near by towns use to visit this place during winter for picnic as well as for its scenic beauty. It is situated at about 34 kms. from Paralakhemundi and 6 kms. from Gumma. The place was remembered for “Paik Unrest” during British Raj. It is famous for its scenic beauty and also a health resort. It is also known as the “Kashmir of Gajapati”. Large-scale horticulture plantation found here. It is situated 31 kms. from Paralakhemundi and 8 kms. from Koinpur. It is famous for the Baladev Temple surrounded by dense forest and horticulture plantation. 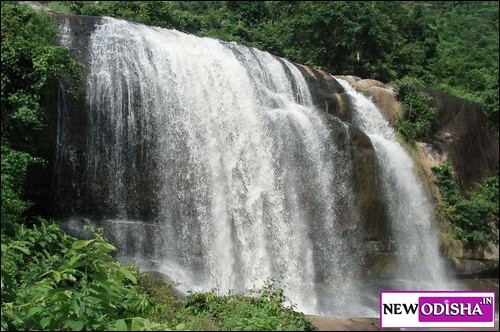 It is also famous for Gudguda waterfall. One irrigation project with scenic beauty and pisciculture has made the place tourist importance. A good place for picnic during winter. Give Responses for "Famous Picnic Spots in Gajapati District of Odisha"